Placing a loved one in an eldercare or long-term care facility is an emotionally draining event. Even more so, the cost of assisted living can be astronomical. Add this expense to other pressing financial considerations like college tuition, retirement planning, and debt consolidation, and emotions can run high. By having a conversation well in advance of any decisions that have to be made can help mitigate the stress of moving a family member into a care facility. As the holidays bring together family members, consider having a conversation that will open the door to discussing some of these important issues. Eldercare is a new term for nursing home, but it can also refer to in-home care, visiting nurse care, and assisted living. The first thing to discuss among family members is what kind of care you think may be required for your loved one. Providers of 24 care are vastly different than a visiting nurse or attendant who helps with driving and errand running. It is important to understand what your needs are so you can source accordingly. Also consider any progressive situations that may drastically change the level of care needed. A 60-year-old experiencing the onset of Parkinson’s disease will likely require a very different level of care in 5 or 10 years than they do initially. Healthcare insurance is certainly a hot topic that can change in the blink of an eye these days, but it is critical to read and understand what is and isn’t covered by a policy. Some policies offer caregiver options, which can help with locating affordable assisting living and nursing facilities. Older insurance policies may actually provide for long-term care, but fewer companies offer them today because of the difficulty of underwriting the terms. Do not assume that Medicare or Medicaid will cover the cost of eldercare. 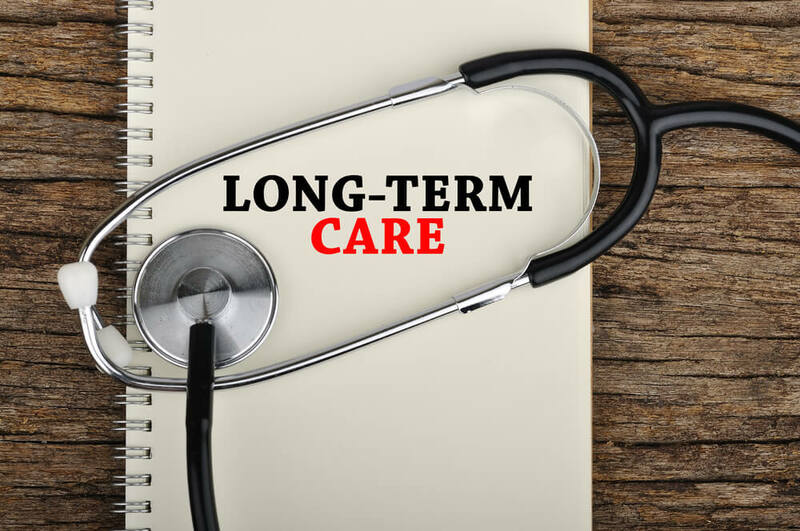 Particularly with the upheaval on Capitol Hill, always triple-check the scope of coverage before making any plans for long-term care. Having an open and honest discussion about the cost of care is the first step in planning for a loved one in a difficult situation. The first conversation, of course, should be with the person in need of care. Knowing what assets they have that can be liquidated or applied toward the cost of care is a good place to start. Don’t forget that some patients may have pensions or life insurance that can ease the financial stress. A reverse mortgage can be a consideration for someone who wants to stay in their home as long as possible. Financial decisions oftentimes are emotional decisions. At Mooney Lyons, we understand the challenges and complexities you face in making the right decision. Call our offices today to set up an appointment and speak with one of our qualified professionals. We can guide you through the labyrinth of issues and decisions and help you make a plan that is both financially strategic and emotionally sound. Because your long-term peace of mind is our primary goal. This material contains only general descriptions and is not a solicitation to sell any insurance product or security, nor is it intended as any financial or tax advice. Guarantees are based on the claims paying ability of the issuing company.